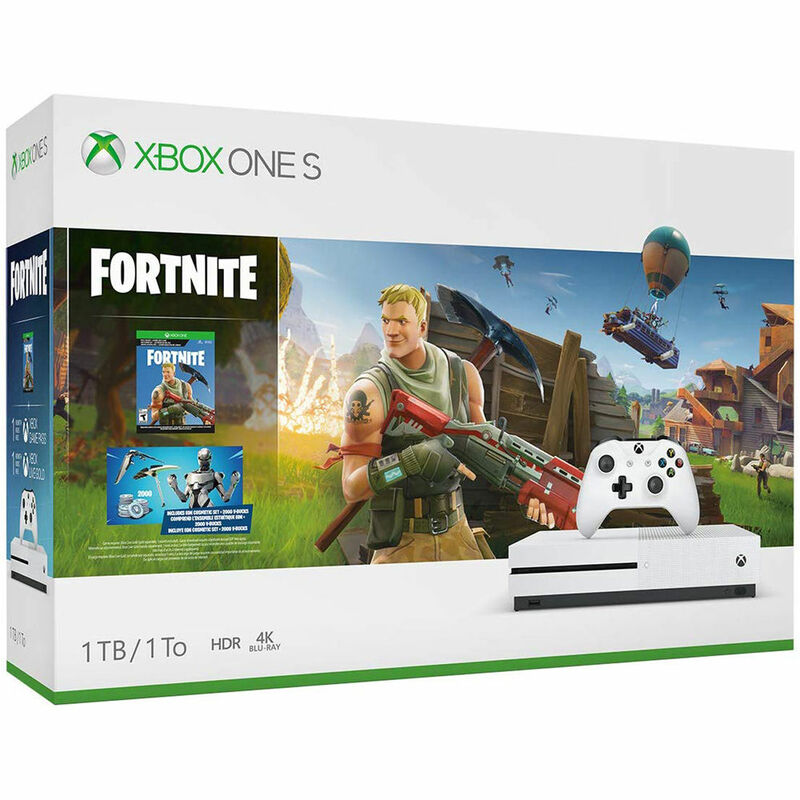 40% smaller than the original Xbox One, the white Microsoft Xbox One S Fortnite Bundle is compact with a built-in power supply. Due to popular demand, the Xbox One S can now be placed horizontally or vertically with the included stand. The Xbox One S isn't just slimmer and sleeker. It also has some added features for video and gameplay. You'll now be able to play Ultra HD Blu-ray Discs and stream video in 4K via content providers, such as Netflix and Amazon Video. The Xbox One S also supports High Dynamic Range (HDR) for videoes and gaming, so you can experience rich, luminous colors in games, such as Gears of War 4 and Forza Horizon 3. With a higher contrast ratio, HDR brings out the visual depth of your games and media. This bundle comes with a 1-month membership to Xbox Game Pass. Game Pass is a gaming subscription service that gives you unlimited access to over 100 Xbox One and backward compatible Xbox 360 games. Game Pass allows you to download full titles to your Xbox One, which means continuous, full-fidelity gameplay without having to worry about streaming, bandwidth, or connectivity issues. In addition, Game Pass members will be able to purchase the Xbox One games they play at an exclusive discount. This bundle comes with Fortnite Battle Royale, a legendary Eon cosmetic set, and 2000 V-bucks to spend in the in-game marketplace. An Xbox Live Gold subscription is required for access to online multiplayer features. This bundle comes with one month of free membership. Fortnite Battle Royale is the completely free 100-player PvP mode in Fortnite. One giant map. A battle bus. Fortnite building skills and destructible environments combined with intense PvP combat. The last one standing wins. Also included in the bundle is the legendary Eon cosmetic set and 2000 V-bucks to spend in the in-game marketplace. The Xbox One S allows you to stream 4K content from partners, such as Netflix and Amazon Video. The Xbox One S features a built-in UHD Blu-ray Disc player so you can play UHD Blu-ray Discs natively. With High Dynamic Range (HDR) support for video and gaming, the Xbox One S allows you to experience richer, more luminous colors in games, such as Gears of War 4 and Forza Horizon 3. With a higher contrast ratio, HDR brings out the visual depth of your games and media. The Xbox One S is 40% smaller than the original Xbox One. It also includes a built-in power supply and can be placed horizontally or vertically with the included stand. With an integrated IR blaster in the front as well as an IR Out in the back, the Xbox One S can control your TV and cable box like a universal remote. The redesigned white Xbox Wireless Controller features textured grips for enhanced comfort. The Xbox Wireless signal performance was improved to ensure a more reliable wireless connection to the console and up to twice the wireless range when used with Xbox One S. To enable easier wireless connection to your Windows 10 devices, Microsoft also added Bluetooth support. The redesigned thumbsticks significantly reduces wear to help maintain accuracy and smooth rotation over the life of the controller. Connect your cable or satellite box to your Xbox One S and watch your favorite shows with the OneGuide. HDMI pass-thru enables you to watch TV through your Xbox, which makes switching inputs a thing of the past. With 8GB of RAM and a 1TB hard drive, the Xbox One S gives you plenty of memory for your games, demos, movies, apps, music, and more. The Xbox One S system software uses a significant amount of storage, which means less internal storage will be available to users. 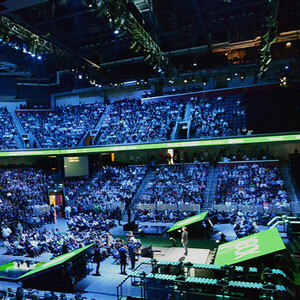 Xbox Live ensures next-generation gaming and performance for the millions of gamers around the world. Online multiplayer experiences come to life with cloud-powered artificial intelligence creating epic experiences each time you play. And because every game is hosted by servers, host advantage, and player drops and ping times should be much improved. Games with Gold Offer is for paid Xbox Live Gold members only, which means an active Xbox Live Gold membership is required to play downloaded Xbox One games. Each participating game (selected by Xbox) available for download from Xbox Store during specific window; available games may vary by country. Some titles may only be available for download by adult account holders 18+. Kinect and/or hard drive required for some games. Offer available in all Xbox Live countries where Xbox Live Gold memberships are supported. Offer is non-transferable, not redeemable for cash, and cannot be combined with any other rebate or offer. Offer terms and availability subject to change. Taxes, if any, are the sole responsibility of member. Download charges may apply as set by your ISP. Now you can play a growing number of Xbox 360 games on Xbox One. Experience both generations of games on one console, including digital and disc-based titles, with advanced features like Game DVR and in-home streaming to Windows 10. Keep all your game saves, add-ons, and hard-won achievements from Xbox 360. And with your Xbox Live Gold membership, you can even play multiplayer games and chat with friends across Xbox One and Xbox 360. Plus, Games with Gold titles for Xbox 360 are now playable on Xbox One, giving you more free games to play every month when you own an Xbox One. Please visit the official Xbox website for more information. Get more from games and entertainment with unique cross-screen experiences. With the free Xbox SmartGlass app for Windows 10, Windows Phone, Android, and iOS, you can use your tablet or phone to extend, enhance and control what's playing on your Xbox One S. Plus, the combination of controller, Kinect and Xbox SmartGlass technologies unlock opportunities for developers to bring you more innovative games. 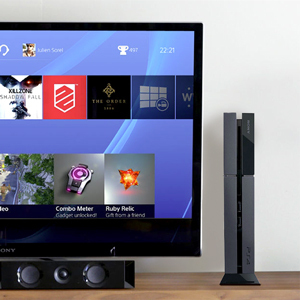 Everyone can have their own personalized Home screen, for instant access to their favorite games and entertainment. Plus, sign into Xbox Live on any Xbox One S, and your Home screen, digital games, content, profile, and saves come to you. Xbox One S lets you quickly jump from TV to a movie to a game. And then snap them side by side to do two things simultaneously. Music and games. Skype voice calls and live sports. Snap Upload next to the game you are playing to watch clips related to that game. The Xbox One S supports a variety of apps. Pin your favorites to your home screen. You can also jump between apps instantly or snap them side by side to do two things at once. Xbox Live Gold no longer required for some apps and features, including Netflix, Twitch, ESPN, Skype, and YouTube. Some apps require app provider-specific subscriptions and/or other requirements. Smart Match matchmaking and Cloud Hosted Multiplayer available in supported games. Broadband internet and account on Xbox required. On Xbox One S and the Xbox Video website, Xbox Video is streaming only. The Xbox Video website requires Windows 7, 8, 8.1,10 or Mac OS 10.6.8+ with Safari 5.1+. Content use restrictions apply. Available features and content may vary by country. Advanced TV hardware required. Games and media content sold separately. Initial set-up and some games and features required broadband internet; ISP fees apply. Online multiplayer, Game DVR, and Upload Studio also require Xbox Live Gold membership (sold separately). Not all Xbox Live features available on Xbox 360 are available on Xbox One S; multiplayer between Xbox 360 and Xbox One S not supported. Adaptive AI, Game DVR, Living Games, Twitch and Upload Studio available in supported games. Box Dimensions (LxWxH) 17.5 x 12.0 x 9.5"
Xbox One S Fortnite Bundle is rated 4.0 out of 5 by 1. Rated 4 out of 5 by Robert from Works well, but instructions.. Console functions as it should, but the instructions are seriously lacking, ambiguous, and vague. *Especially frustrating was the ambiguity about how to actually get the bundled Fortnite initiated without buying a membership. If I had it to do over, Id buy it without a game. We can ship this item to Mexico for you. Yes it does. A single Xbox One Wireless Controller is included. We can ship this item to you in Mexico. does this come with forza along with fortnite? Why does it have a Forza Horizon 4 image on the box id the console comes with Fortnite? We apologize for this error. The current image has been corrected.